Let’s just say it. Some health information is embarrassing. We don’t make a habit of discussing some elements of our health with anyone. Socially, this may be beneficial, but in the context of assessing disability, not discussing troubling and truthful symptoms of your illness or treatment can be damaging. Disability and SSI cases are based on a Claimant’s inability to perform work. To evaluate disability, Social Security looks primarily to the evidence generated by the Claimant (patient) as they seek treatment for their ongoing health concerns. Social Security Ruling 16-3p sets forth the idea that the SSA considers all of the individual's symptoms, including pain, and the extent to which the symptoms can reasonably be accepted as consistent with the objective medical and other evidence in the individual's record. The SSA defines a symptom as the individual's own description or statement of his or her physical or mental impairment(s). An individual's statements of symptoms alone are not enough to establish the existence of a physical or mental impairment or disability. These statements are subject to a two-step evaluative process set forth in SSA regulations. In short, the test asks 1) is there an impairment that could reasonably produce the alleged symptoms, and 2) do the intensity and persistence of an individual's symptoms limit his or her ability to perform work-related activities? The best way to ensure that your symptoms are properly documented is through full and open communication with your physician regarding every element associated with the symptoms of your condition and the treatment thereof. It is often helpful to let your physician know that your treatment records will be used in disability proceedings, and that ongoing and clear physician narrative is helpful. Many of my clients are cardiology patients who receive diuretics (like Lasix) as part of their therapy. One very common side effect of diuretic therapy is the urgent and frequent need to urinate for several hours after taking medication. When discussing this side effect with my clients, nearly all confirm that this is the case, but when I ask whether they have discussed this with their physician, very few have. Frequent unscheduled breaks can have a detrimental effect on a patient’s ability to work, and should be considered by a judge when contemplating a Claimant’s residual functional capacity for work. 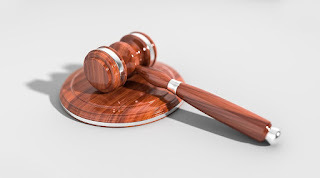 In this way, not only is the judge considering the impact of the actual underlying condition on the ability to work, they are considering the symptoms of treatment as well. Claimants should not hesitate to share truthful (yet potentially embarrassing) information at their hearings, and should share this information with their physicians so that it can be acknowledged, documented, and managed in a clinical setting. In addition to the benefit of having an informed physician, telling the whole story can introduce additional favorable considerations in the disability context. This is such an amazing share. Almost all the questions and answers given at Online LSAT Prep are praiseworthy. The test guides and latest strategies to attempt the exam are mind blowing. Truly a blessing to the students preparing for law entrance. Highly recommended to all career oriented pupils.